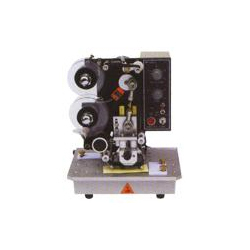 Leveraging on vast experience of 13 years, we are reckoned as one of the most venerated firms engaged in manufacturing and supplying a qualitative conglomerate of Sealing and Packaging Machines. We offer these equipment under the categories of Form Fill & Seal Machines, Wrapping Machines, Cartooning Machines, Box Strapping Machines and Packaging Machines . These equipment have captured the domestic market, owing to their remarkable efficiency, easy operations, less maintenance, smooth surface finish and long functional life. We pay utmost attention in delivering a defect-less range of machines to our esteemed clients. This is why, we make use of premium grade and dimensionally accurate spare parts to manufacture our equipment. Apart from this, these are engineered using advanced machines and technologies. This allows us to exploit the resources to the fullest and also significantly reduces the manufacturing time. Post production, the finished machines are subjected to some pre-determined tests such as thickness, leak integrity, oxygen permeation and many more to check their quality. Further, considering convenience of the esteemed patrons, we accept payment via various easy modes like cheque, DD and LC. All these attributes allow us to fulfill requirements of the clients in the best possible manner.